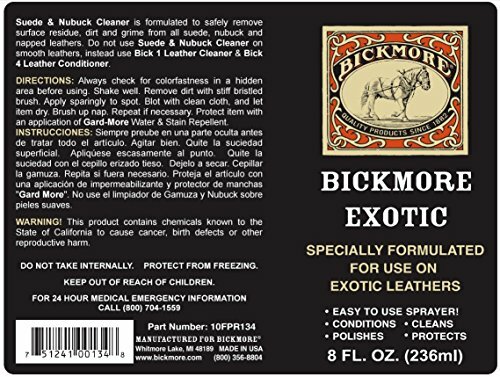 SPECIALLY FORMULATED FOR EXOTIC LEATHERS AND REPTILE SKIN: The special ingredients found in Bickmore Exotic are hand-picked to provide your exotic leathers and reptile skins with the utmost care they deserve. 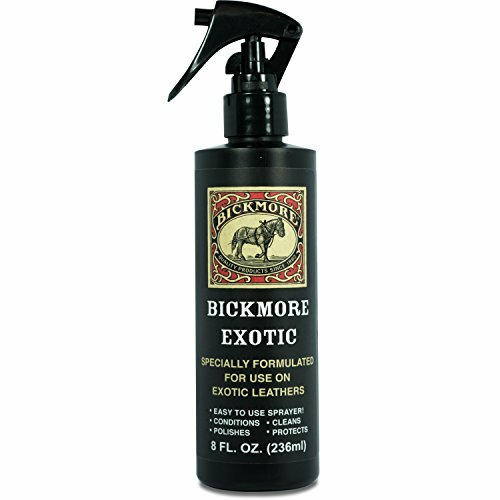 CLEANS, SOFTENS, AND PRESERVES: Bickmore Exotic penetrates deep into the pores of exotic leather, moisturizing and rejuvenating old leathers, and protecting new leathers from future wear and tear. 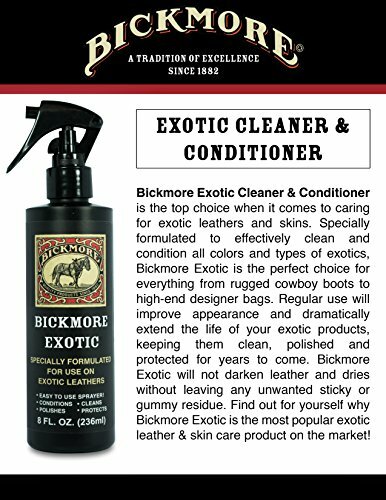 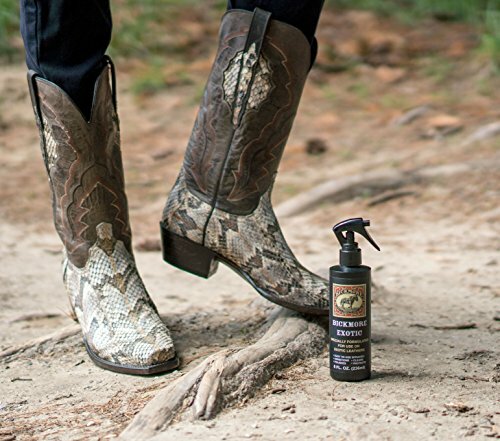 CARES FOR ALL TYPES OF EXOTIC LEATHER: Alligator, Crocodile, Caiman, Snake, Lizard, Ostrich, Elephant, and many more! 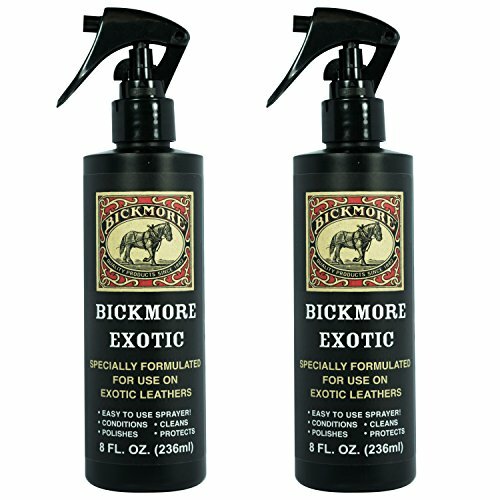 GREAT FOR BOOTS, BELTS, HANDBAGS, AND WALLETS: Whatever form your exotic leather takes, Bickmore Exotic has you covered. 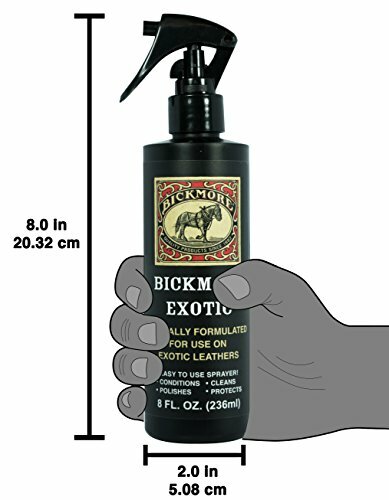 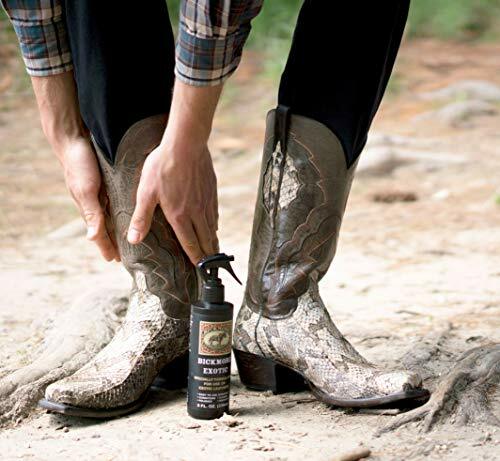 CONVENIENT SPRAY ON APPLICATION: Our easy to use spray on applicator will ensure that no area of your exotic leather is left untouched by the cleaning and conditioning powers of Bickmore Exotic.